1970 De Tomaso Mangusta - When I was a kid, every fantasy I had that didn't involve a girl involved a Mangusta. Many involved girls and Mangustas. 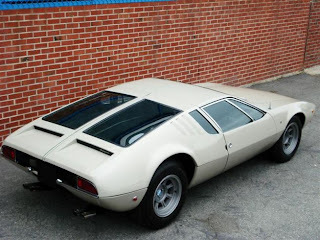 Even as I got older and started to understand some of the problems with the Mangusta, I still wanted one. Few cars are as gorgeous as this. 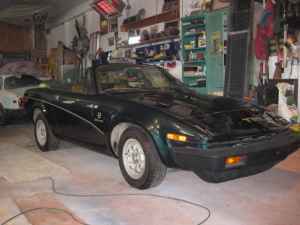 1980 Triumph TR8 - I know that not everyone thinks these are good looking cars. But think about it... What other classic V8 British sports car can you buy for under $10K? Yes, there were build quality issues, but nothing worse than any other old British sports car. In my opinion, the TR8 is a true automotive bargain. This TR8 shows 22,000 miles on the odometer. The seller believes it's the original mileage. The car has recently had a new clutch installed and a new convertible top. The asking price for this car is just $5500.00. 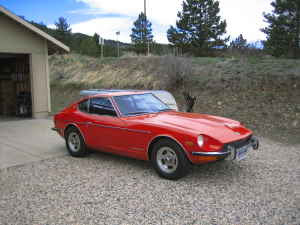 1973 Datsun 240Z - There's not much I can write about this car. The seller doesn't say much about it in his ad. According to the seller, who has owned it for 21 years, this is a 38,000 mile, unmolested 240Z. It's never had any rust or body damage. It has its original paint and interior. Cars like this are few and far between. So many old Zs have been modified or completely rebuilt. It's nice to see an original car like this one. Located in Bellvue, CO, click here to see the Craigslist ad.